The Jones Institute shared a post. 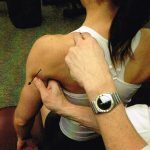 This manipulative osteopath vouches for Larry Jones and Counterstrains diagnosis of dysfunction through palpation of pain provoking tender points as accurate and repeatable. Watch the entire video. Spinal motion palpation has been widely used by manual therapy practitioners to diagnose spinal dysfunction. It is frequently used to locate primary areas of joint restriction. It helps determine whether a patient needs spinal manipulation; if so, where to apply the thrust (Bergmann and Peterson, 2010). 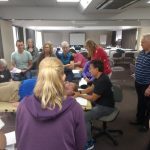 a recent study among physiotherapists in Australia reported that around 98% of the respondents were using manual palpatory tests to take treatment decisions (Abbott et al., 2009). 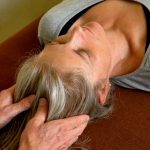 the clinical utility of these palpation techniques in the assessment of spinal dysfunction has been controversial, a majority of studies has found it to be unreliable due to low indices of agreement (Huijbregts 2002; Haneline et al. 2008; Walker et al., 2015; Cooperstein and Young, 2016). An excellent article on groundbreaking research presented at the Fifth International Fascia Research Congress by Susan Shockett and Thomas Findley.